Around the holidays I was given a piece of maple bacon chocolate that I devoured in seconds. I couldn’t get it out of my head so I did what anyone would do, made about three batches for myself (I shared with friends too, kind of). 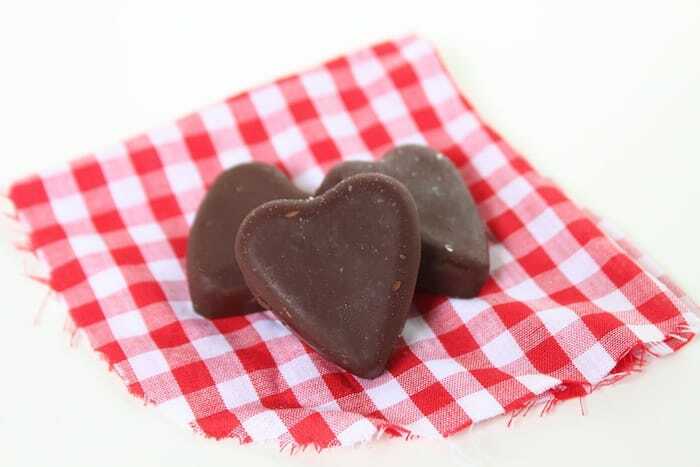 These little maple bacon chocolate bite-size treats don’t take any special skills to make and can be prepared the night before. 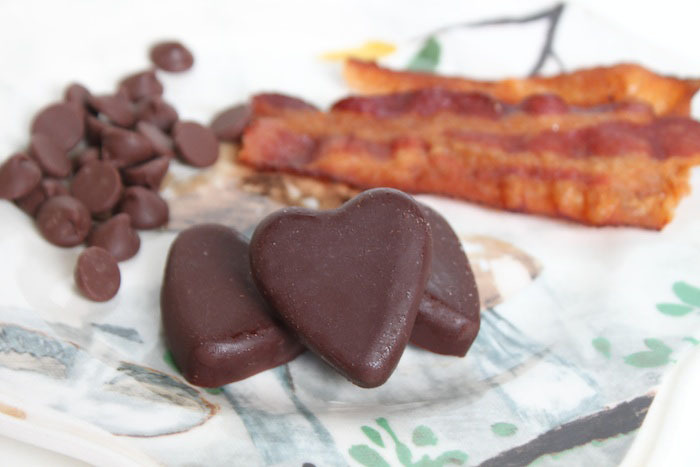 I’m planning on using the extras for “You’re Bacon Me Crazy” valentines, if I don’t eat them all first. 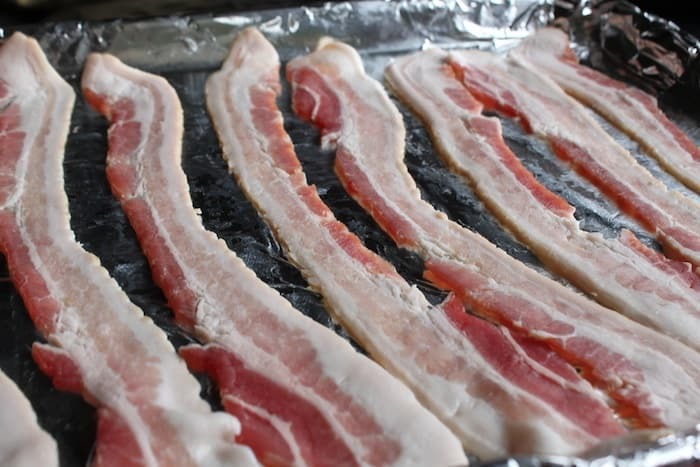 Turn your oven up to 400 degrees and lay your pieces of bacon on a tin foil lined cookie sheet. Place the bacon inside the oven and cook for about 15-20 minutes. After the first 10-minutes, turn your bacon over to make sure both sides get crispy. 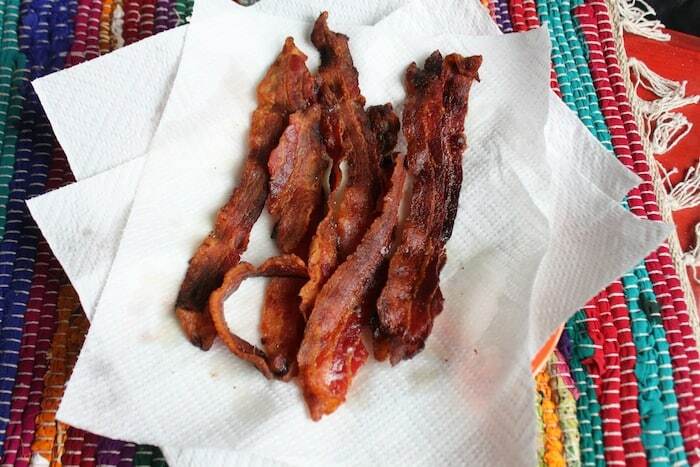 Take your bacon out and place on a paper towel to absorb the grease. 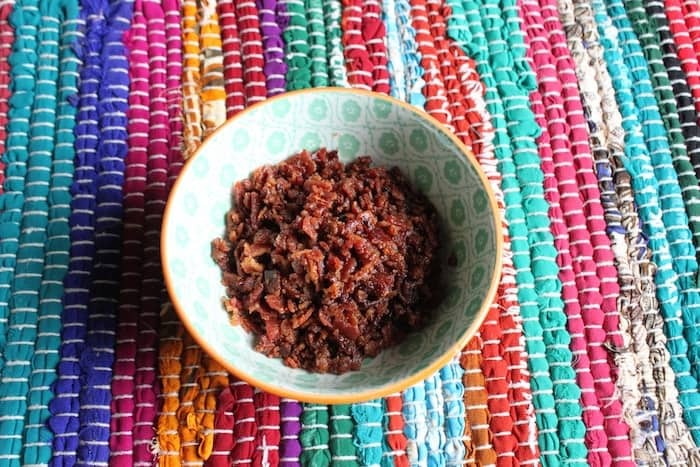 Since the bacon is crispy, it should crumble very easily into tiny little pieces. Chop the pieces that won’t crumble, place in a bowl, and set aside. 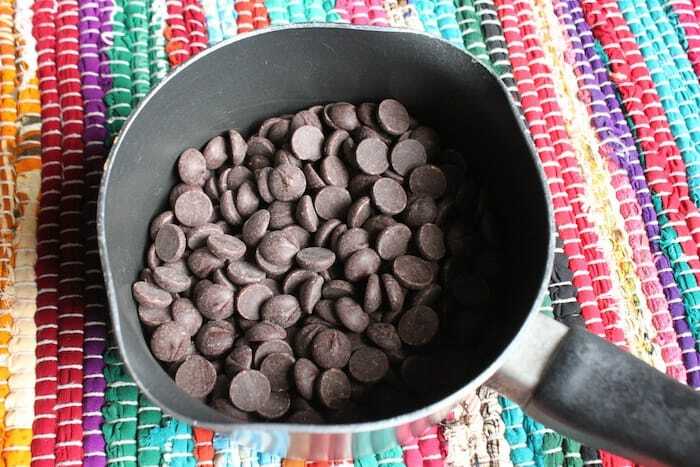 Put your chocolate chips into a saucepan. 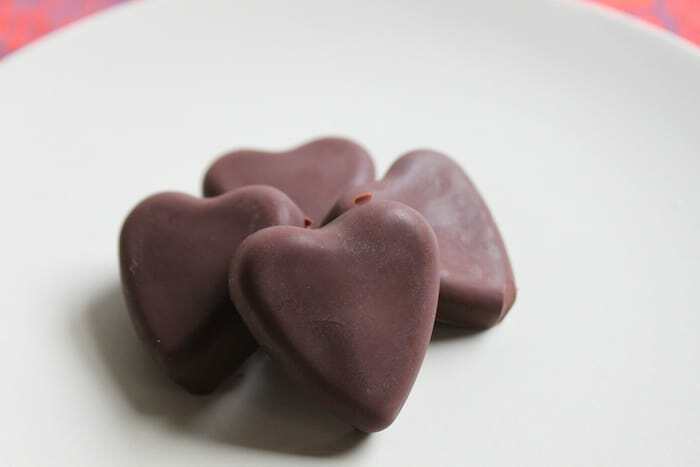 You can melt it with a double boiler or make a homemade double boiler like I did when I made Tea Cup Candles. 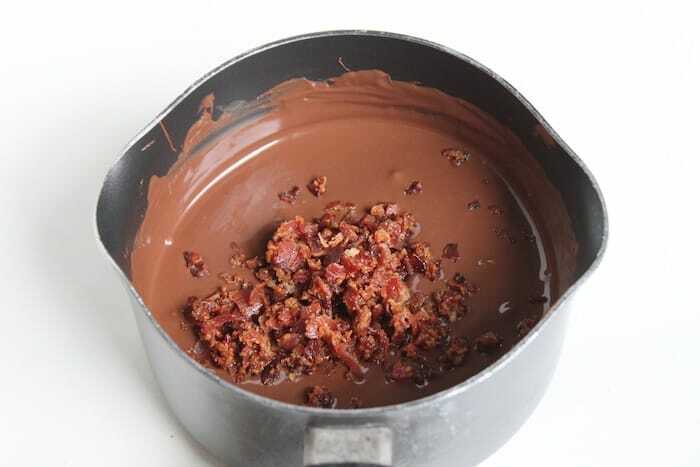 Mix in the crumbled bacon with the melted chocolate. 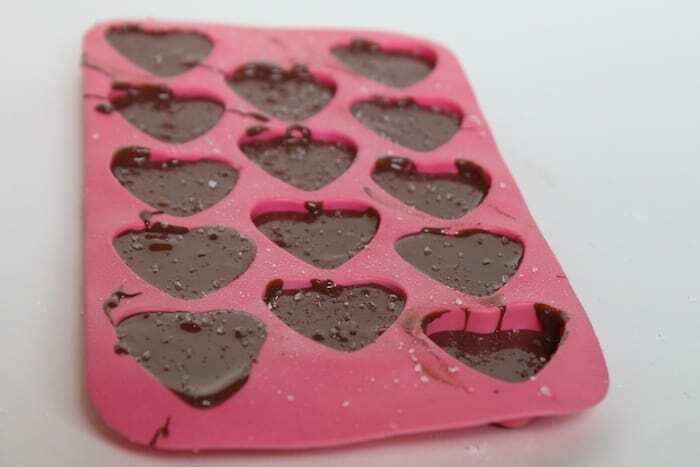 Pour the melted chocolate into the tray and sprinkle with sea salt. Place in the freezer for a few hours or overnight to let them set. Enjoy! 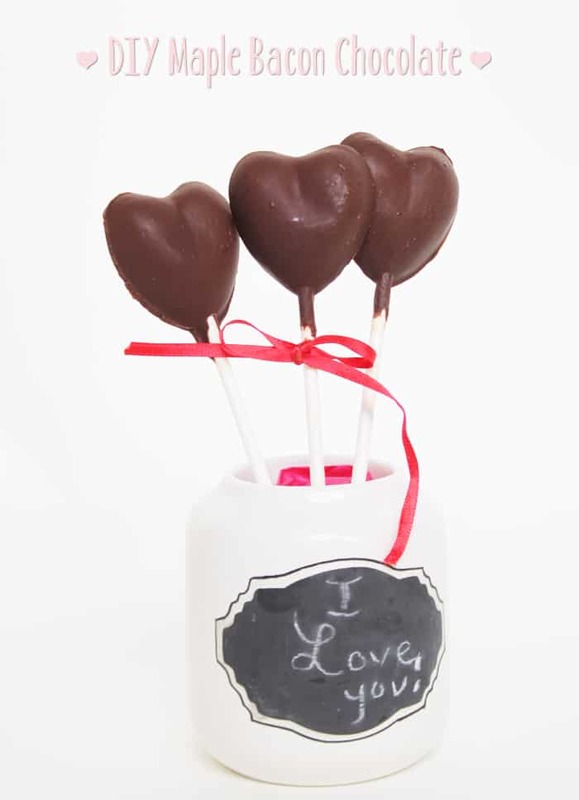 I am making these for a friend for crafty pay it forward. Thanks for the recipe. These look amazing and so simple! 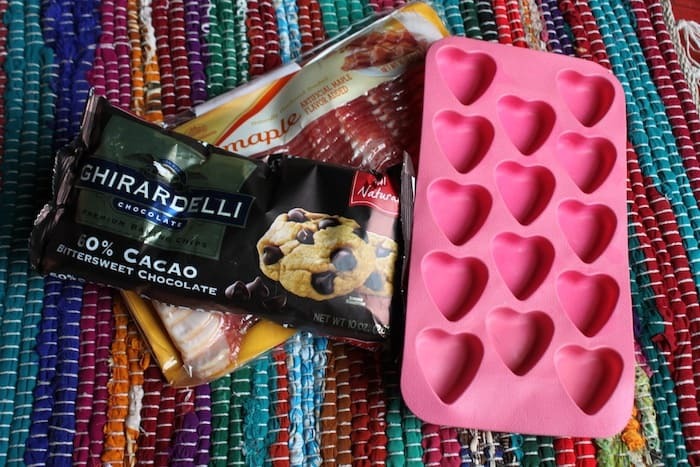 I will definitely be giving these a try, thanks for the recipe!